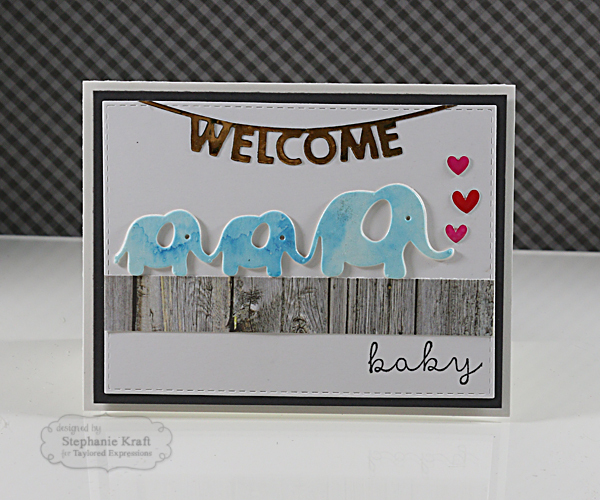 HandKrafted by Stephanie: TE March Sneak Peeks: Welcoming a New Baby! TE March Sneak Peeks: Welcoming a New Baby! Hello! 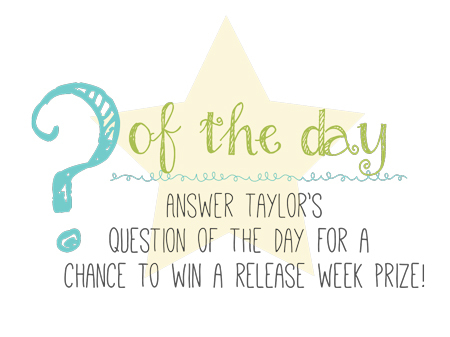 Welcome to the final day of Taylored Expressions March Sneak Peeks! All products will be released tomorrow, Thursday, March 3 @ 7 AM PST. 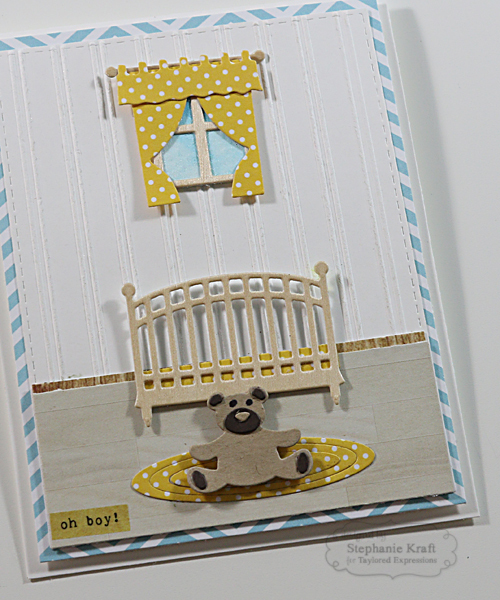 Today I have a couple of baby themed cards. The first one features Elephant Parade. I just couldn't resist using the line of elephants. There are a total of 4, but I trimmed off one. The gold foiled Welcome is from the new Welcome Baby Banner. 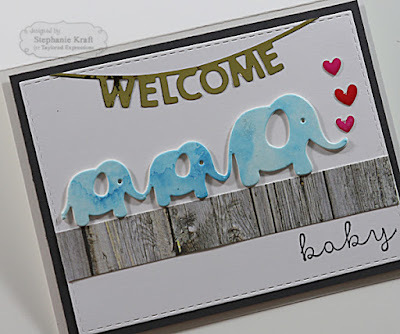 I only used the "welcome" part and stamped "baby" using the previously released Little Bits of Baby stamp. My next card uses elements from Build a Scene - Nursery and Build a Scene - Window to create a view inside a baby's room. I also used Little Bits - Teddy Bear. I used wood paper for the curtain rod, window frame and crib. Note: Products in BOLD will be available in the TE store tomorrow, Thursday, 3/3/16 @ 7 AM PST! Stephanie, your cards are adorable as well. I really love these banner dies. (I REALLY LOVE it all! LOL) Thanks so much for sharing your great cards!